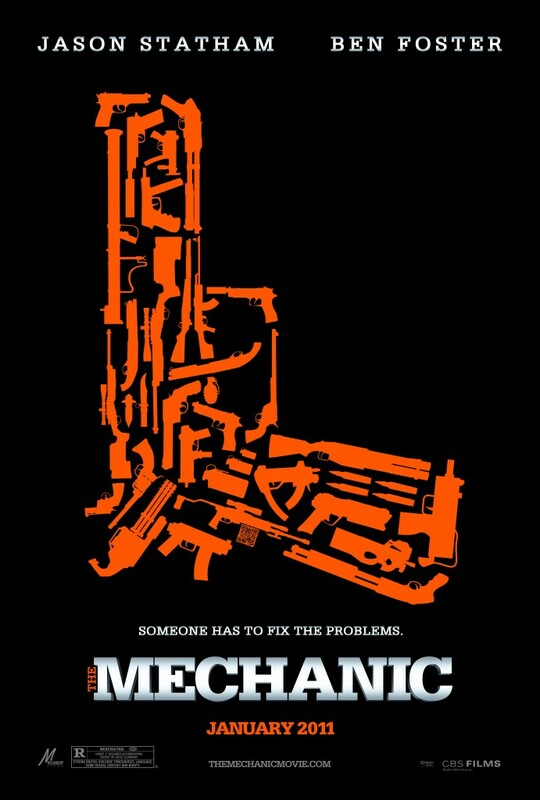 Blu Ray Review: "The Mechanic"
Arthur Bishop (Jason Statham) is a hitman. Working for an international organization that matches him up with potential hits, Bishop finishes his assignments with detached efficiency. The only real relationship in his life is the one he has with his handler, Harry McKenna (Donald Sutherland), who treats him almost like a son. When Bishop is presented with evidence of McKenna's treachery, he puts his mentor down himself but takes no pride in what he was forced to do. Soon after, McKenna's son, Steve (Ben Foster), shows up and asks Bishop to take him on as a pseudo-apprentice. The pair work together successfully until Bishop learns that Harry was set up by the agency that employed them both while Steve begins to become suspicious of Bishop's involvement in his father's death. A remake of a Charles Bronson flick, "The Mechanic" has the classic Jason Statham flare mixed with a touch of old school action. You can't call this a full-on homage to the Bronson era but you can see it was a major influence in the film's production. I, for one, quite enjoyed the combination. I've bagged on Statham in the past for being a one trick pony and for making occasionally awful films ("In the Name of the King", anyone?) but at the same time, you have to appreciate a man who gets the most out of his one skill and manages to provide passable entertainment more often than not. I mean, if you were given the option of seeing a Statham film or a Nic Cage film, is there any question that Statham would be the choice? This film plays well with Statham's sensibilities and is chock full of explosions, shootouts, and various action stunts. "The Mechanic" is also, however, much smarter than I would have expected going in. It's not rocket science, mind you, and Christopher Nolan certainly didn't write the script. But it does progress with more sophistication than the average hitman action movie and that keeps the plot from bogging down or becoming tiresome. The only real issues I have with "Mechanic" are the ending (unfitting to the rest of the narrative and unsatisfying) and the dynamic between Statham and Foster. I get the casting choice. Statham is smooth and debonair, almost care free while Foster's intensity always burns to near homicidal levels. (Seriously, if you met Foster in a bar, wouldn't you be scared of him?) On paper that combination sounds good but for me, the two contrast so much that it almost feels like a fight to see who's style will win out. It's not awful chemistry but it doesn't consistently push the film along on the right path. 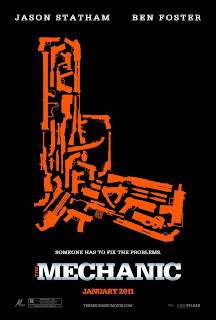 Still, "The Mechanic" is high quality entertainment and contains excellent action sequences that should satisfy your jonesing for explosions and gunplay.